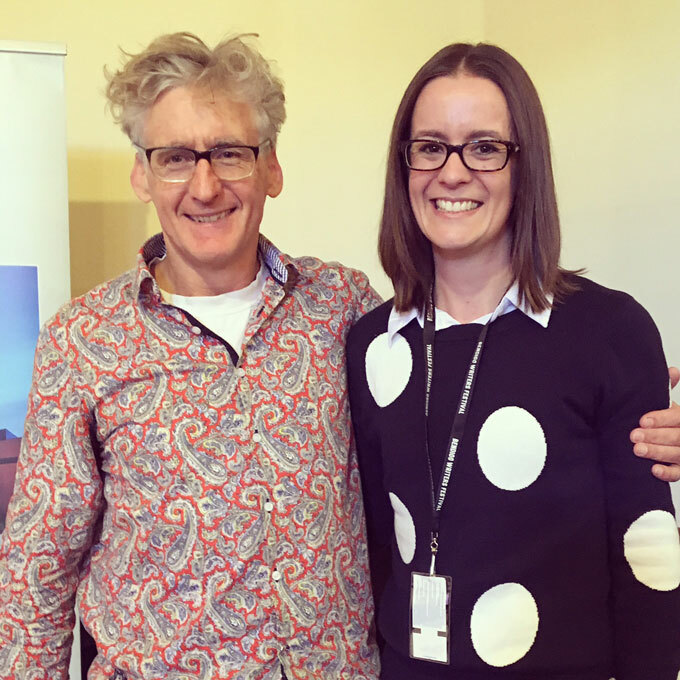 Last weekend (or the weekend prior, depending on your definition of ‘last weekend’ on a Tuesday morning), I attended the Bendigo Writers Festival. It was fabulous. I filled my days (and one evening) listening to great writers, interesting panels and fascinating discussions, and embarrassing myself in front of some of my favourite writers. Here are the main things I learnt. 1. You’re never too old to become a rambling, gibbering, fangirling idiot in the presence of people you admire. I giggled embarrassingly at Anna Goldsworthy (Welcome to Your New Life) as she signed my books. I basically fawned over Anne Summers (Damned Whores and God’s Police), who graciously accepted my praise and then redirected much of it to other feminists she admires in turn. I gaped at Benjamin Law (The Family Law) until he pulled a funny face at me, laughed and waved. 2. Years of rambling, gibbering, fangirling idiotness in the presence of people you admire eventually settles. Luckily, I was far more measured when it came to another favourite writer of mine. This time. I first met David Astle (Wordburger) five years ago. I’ve certainly done the awkward fangirl thing with him plenty of times, but this year it was cheek-kisses, a hug, a chat and a long overdue photo. PHEW. Research is so important for writing. This seems blatantly obvious for non-fiction, but it’s also true of fiction. Here are some examples. Kate Mildenhall has written Skylarking, a work of historical fiction. It’s based on actual events in the 1880s, so research was pivotal for her work. It shaped the characters, the location and the everyday happenings of the book, as well as the key event that piqued Mildenhall’s initial interest in the tale. Ellie Marney has written a crime series for a young adult audience, the first of which is Every Breath. I’m not going to list everything that needs to be researched for a crime novel, because I couldn’t hope to know how much is involved! Suffice it to say that research is critical. 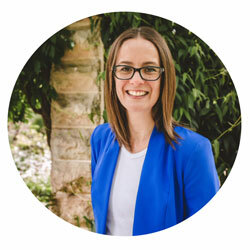 Briohny Doyle authored The Island Will Sink, a novel set in the future. While I certainly didn’t think that setting a novel in the future gave you a research leave pass, I will admit that my jaw dropped as Doyle listed just some of the things she researched before (and while) writing this book, all of which helped make her imagined future as realistic as possible. I loved this quote from Peggy Frew (Hope Farm) in the final session I attended on Sunday: The facts of your fiction have to be straight. 5. Community is important. But don’t let it become distracting. Since ‘coming out’ as a writer, I have become part of a few writing and support groups. They are so useful. For so many reasons. I get feedback and writing tips. I share my own knowledge of spelling and grammar. We share ideas, frustrations, wins and setbacks. We boost each other up, and let each other down (gently) when we miss the mark. That last bit is important. Negative feedback is hard to take, but constructive feedback is important. You don’t want to be the writing equivalent of an Australian Idol auditionee who first hears how bad they are on national television. From Dicko. You also don’t want to become so reliant on your group that you can’t write without them, or that you get distracted by them. BALANCE. 6. It’s important to have an idea of your audience, but not to write solely for them. Given that I’m not a published author (yet! CONFIDENCE! ), this is yet to really impact me. But this feeling was shared by more than one author. Diana Sweeney (The Minnow) said that now that her first book has done well, the publishers want that book again. The reading public think they want it again, so the publishers want it again. But she’s already written it. It’s time to write the next one. Peter Doherty (The Knowledge Wars): I think I’m the only Nobel Prize winner who’s had his arm up the backside of 2,000 cows. Peter Doherty again (while on a panel with Benjamin Law and Anne Summers): I guess I’m the most boring, so I’ll start. James Moloney (The Beauty is in the Walking): Authors are sticky-beaks and eavesdroppers. It’s dreadful. David Astle: I specialise in dunny books. And it wasn’t all about humour. There was also an air of camaraderie about the weekend, with respect flowing from the audience to the authors, between the authors, and back to the audience. And some of the authors shared it beyond the festival. Anne Summers (in response to a question about finding the strength to keep spreading the feminist message in the 70s): There were lots of us. Strength in numbers. 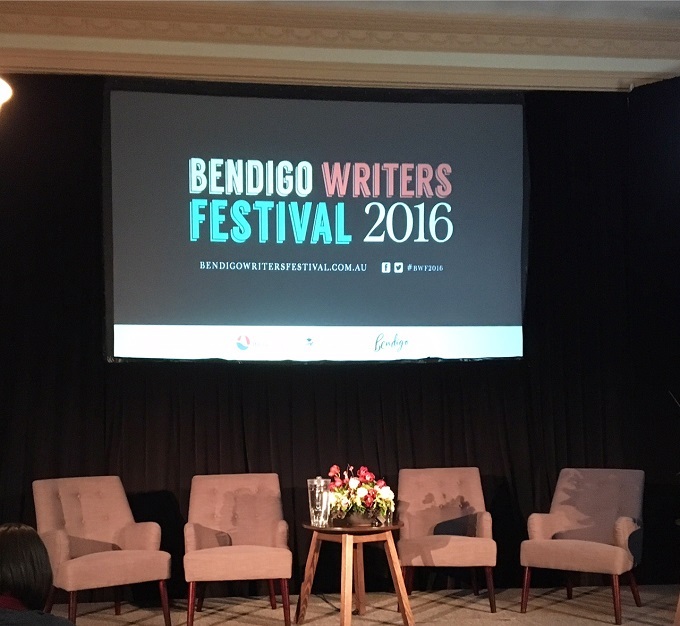 Were you at the Bendigo Writers Festival? What did you think? I wish we had one of these up in the Blue Mountains! Sounds amazing. It was great! And there are quite a few around – I’m sure the Blue Mountains will get one. It’s worth it! I always love travelling back to Bendigo for this. Sounds like a fabulous, inspiring day. I often read fiction books and am amazed at the detail and the level of research that would take. It was great – two-and-a-half days. I’m exhausted! That was me at ProBlogger two years ago. Now I realise everyone goes to these events for much the same reasons. Not so intimidating. I have never been to a writers festival but it is on my list of things to do within the next 12mths! You’re welcome! I hope you get to one soon. Me too! In fact, I had to be reminded of that today. I had to publish something that I was nervous to publish. Just HAD to. This is a wonderful catch up for readers here and I can see that you, the write, benefitted from it enormously. That photo of you and DA is a classic and I love it! Thank you! I still think I look like an idiot, but it’s the only pic I have so idiot it is! I love writing festivals – there’s such an incredible sense of community and encouragement. How cool Toni Jordan said that to you?!! And er yeah, you are SOOO a writer, Em!! Community and encouragement – thank you. They are exactly the right words. That would have been so awesome to go to. Good on you. Did you have to travel far? I wanted to go to ours but it would have been a 3hr round trip. Also are your writer’s groups at night or day. It was wonderful! Not far – I live in Melbourne so it was a weekend trip. I’m part of two online writers’ groups. We have met in person a few times, but the majority of our support and activity happens online. Sounds like it was a great festival. I’ve never been to a writers festival. I’ve looked at a few programs for them but never been sure where to start or who or what I would want to see. That was my problem last year! So I just went. And got to live my dream dinner party as a result. My advice: just go! Sounds great Em, I’ve long mulled over joining a writers group locally, but have never quite made the jump. Sounds like a fantastic event! I just went to this year’s event, and it was also great! More political content, but that’s not so surprising given the current environment.